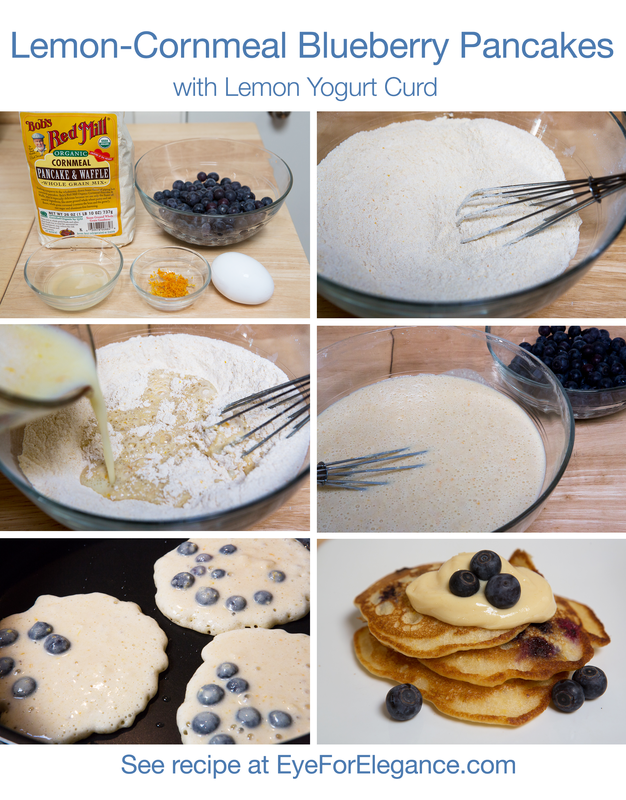 For me, one of the best ways to start a relaxing weekend morning with my guy is to whip up these fluffy, comforting pancakes. 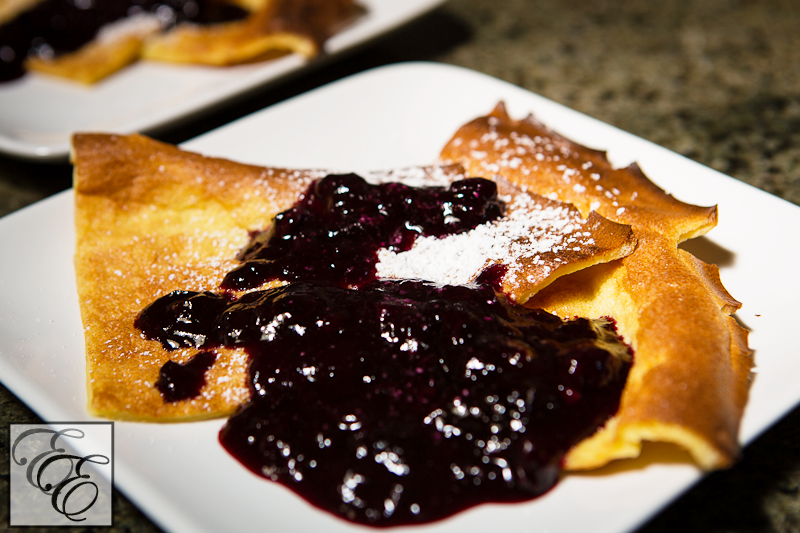 They’re great with fresh berry compote, Greek yogurt, and/or powdered sugar, while languid classic jazz plays in the background and we make plans for the day. 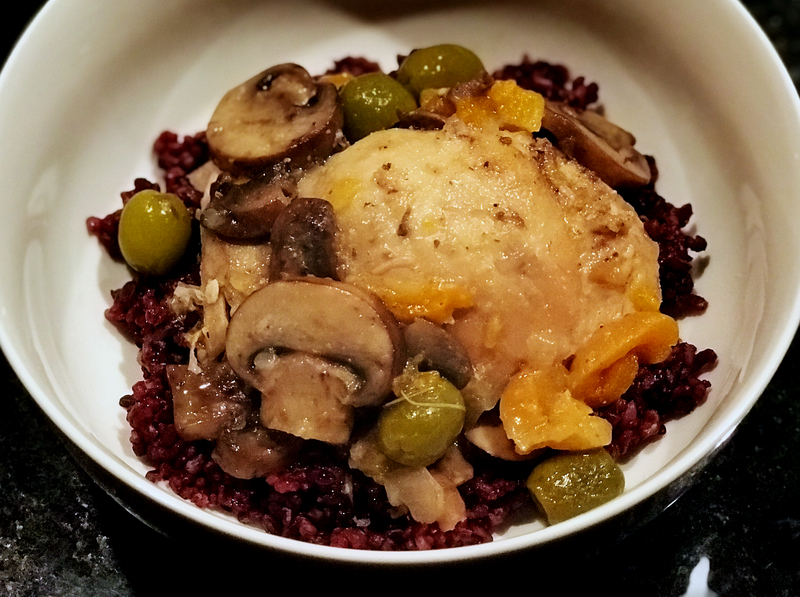 These can be made with fresh or frozen blueberries; I highly recommend using fresh berries when they’re available. The hot, plump berries burst in your mouth like small bites of freshly-made juicy jam – heaven! This time around, I made a simple lemon yogurt curd topping by mixing together Trader Joe’s lemon curd and Fage 2% Greek yogurt, in approximately a 1:2 ratio. 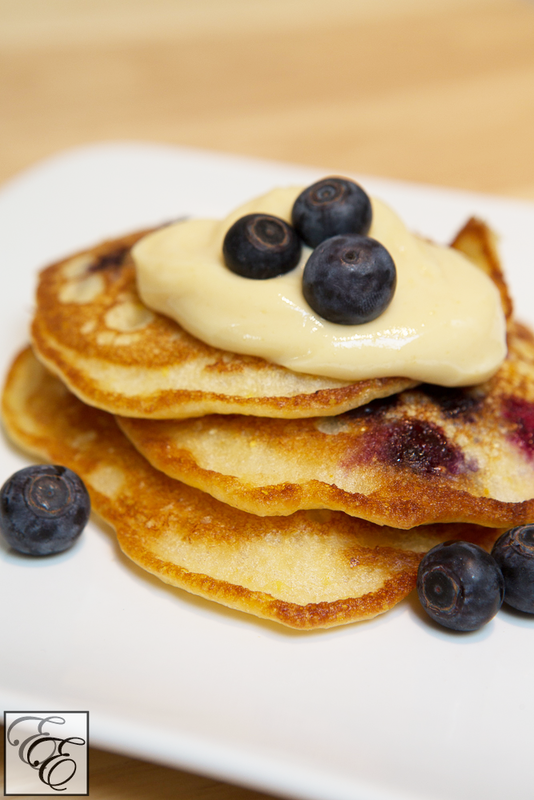 If you’re looking for a substitute for the blueberries, consider white chocolate chips. White chocolate and lemon is a great pairing! 1. Whisk the lemon juice, lemon peel and milk in a medium bowl. Set aside to thicken (lemon juice will curdle the milk). 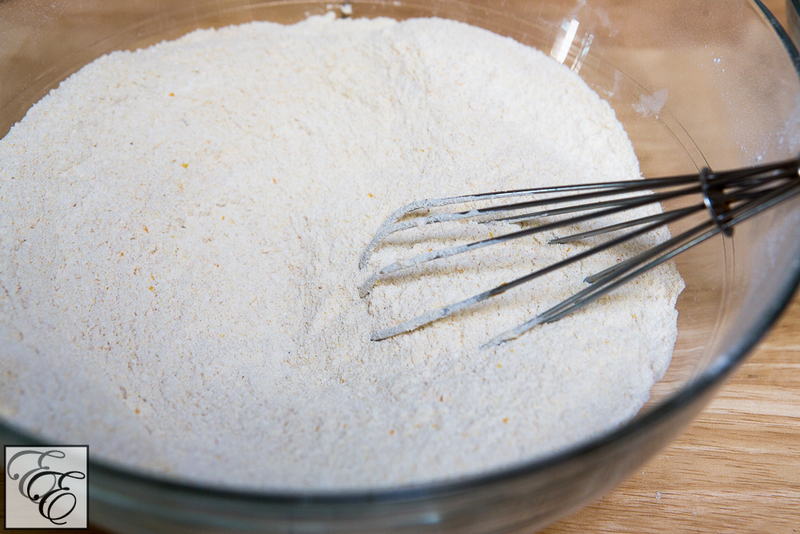 Whisk the flour, sugar, baking powder, baking soda, and salt in a medium bowl to combine. 2. Whisk the egg and melted butter into the milk until combined. 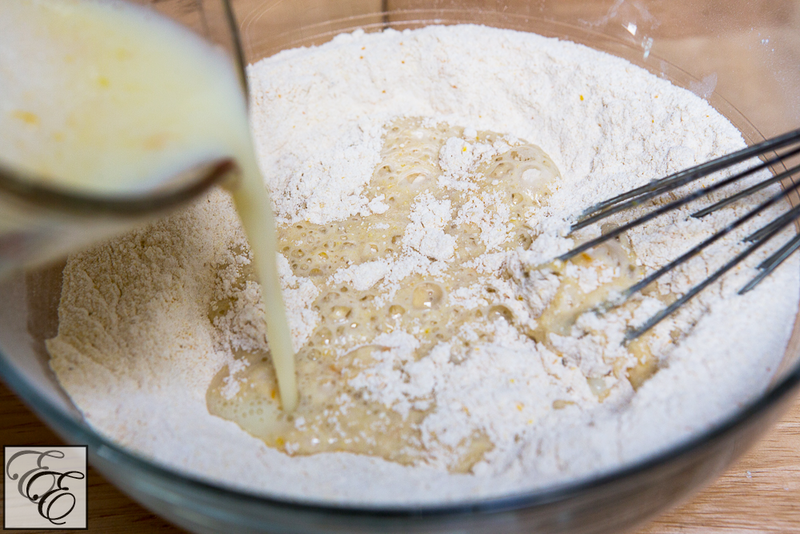 Make a well in the center of the dry ingredients in the bowl. 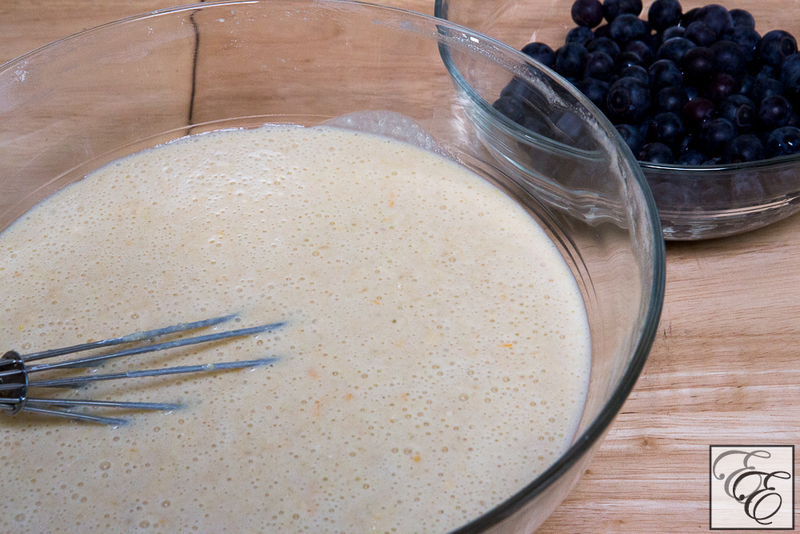 Pour in the milk mixture and whisk gently until just combined (there should still be a few lumps). Do NOT overmix. 3. Heat a large skillet over medium heat for 3-5 minutes. (When the skillet is heated, a drop of water thrown into the skillet should dance, sizzle, and evaporate within seconds.) Add 1 t oil and use a heat-resistant silicone brush to brush and coat the skillet surface evenly. 4. Pour three portions of 1/2 C batter into the skillet. 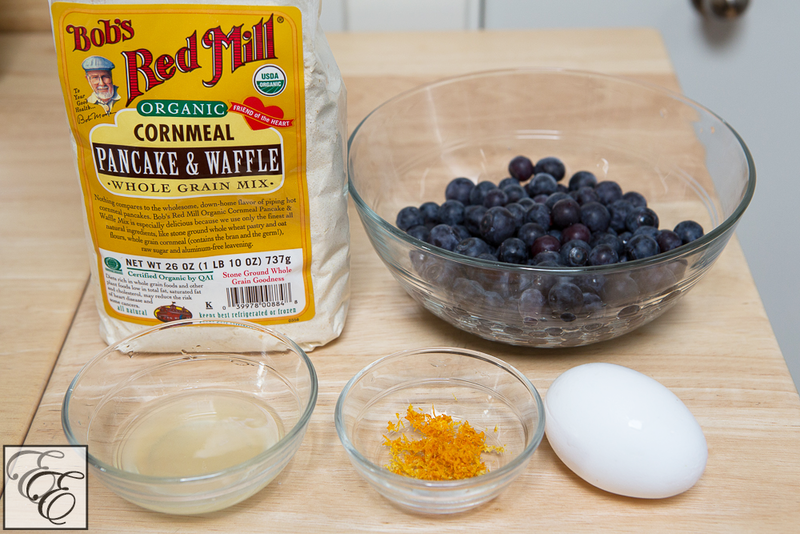 Sprinkle 1 T blueberries over each portion of batter. Cook the pancakes until large bubbles begin to appear and pop, about 1 1/2-2 minutes. 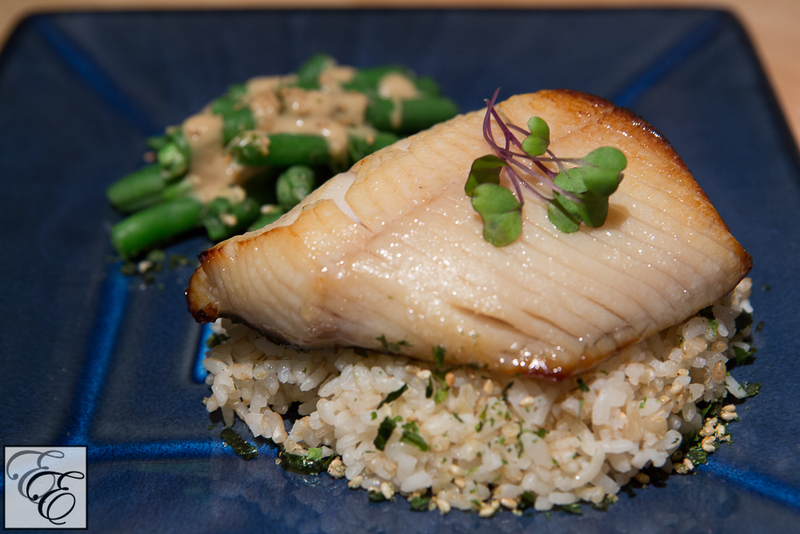 With a thin, wide spatula, flip over and cook until golden brown, about 1-1 1/2 minutes. 5. 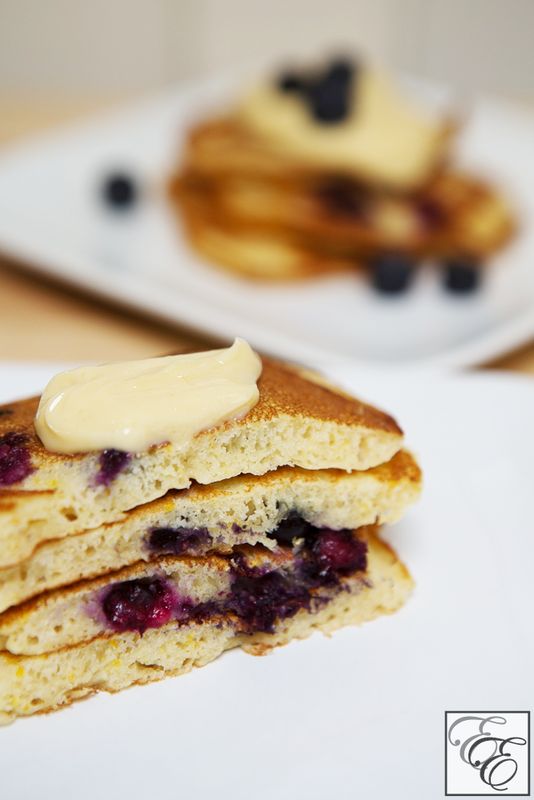 Ideally, serve cooked pancakes immediately. If not, place cooked pancakes in a single layer in an oven at 190-200 degrees F until ready to serve. 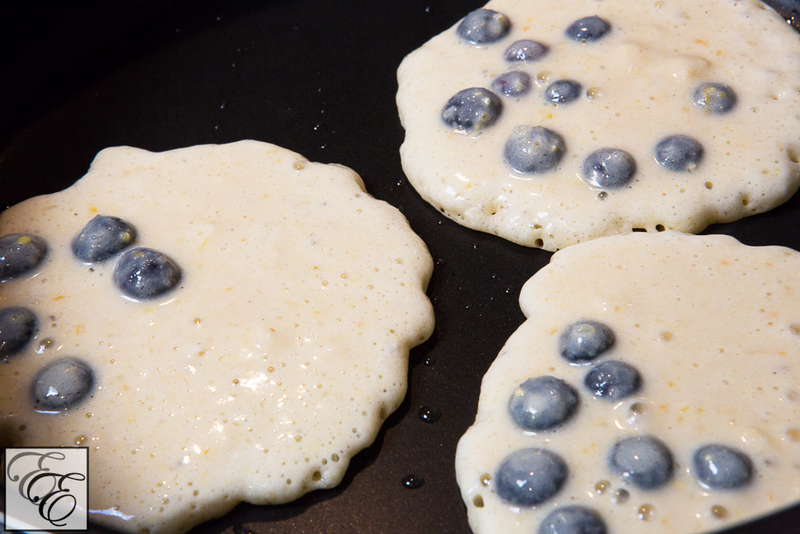 Repeat cooking process with the remaining batter, brushing the skillet with more vegetable oil when necessary. 6. For the topping, mix together the lemon curd and Greek yogurt. 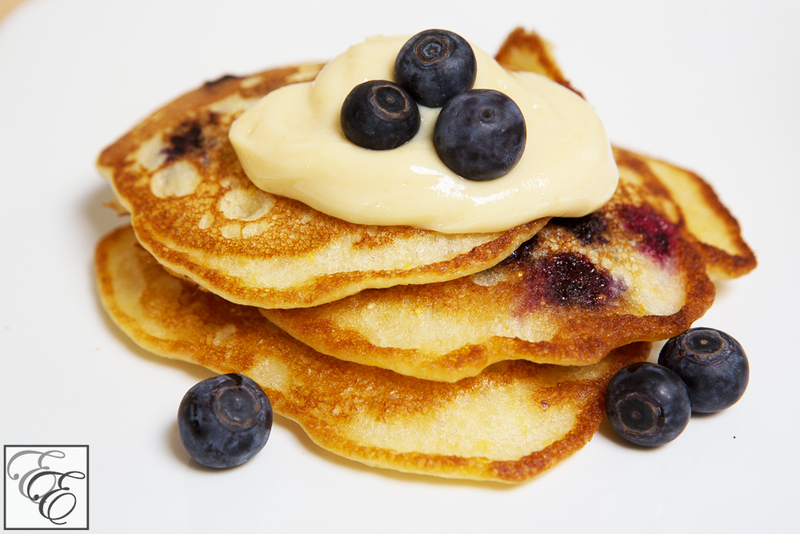 Put a dollop on top of the pancakes just before serving.